The last four decades have witnessed increasing research, policy discourse and the investment in government programs to foster innovation within the private sector manufacturing and service industries. Despite the adoption by many governments of the language of complexity theory and systems thinking in business and organisational management, and a growing awareness of the breadth of contexts and outcomes resulting from the innovation process, a broader commitment to investments in supporting skills development and capacity building for service innovation in businesses have yet to catch up. 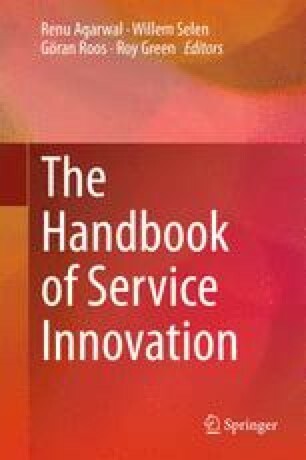 This chapter examines the factors that have contributed to the perpetuation of a limited conceptualisation of the forms in which innovation contributes economic value, and the government policy instruments invested into foster and sustain a diverse regional innovation system. This tangle of academic discourse, policy rhetoric and government programs aimed to support innovation will be examined through a case study of South Australia’s strategic plan and the agencies charged with fostering and supporting innovation in the state.